The oceans are the largest global heat reservoir. As a result of man-made global warming, the temperature in the global climate system increases; around 90 percent of the extra heat is absorbed by the oceans. This means that the average sea temperature can tell us a lot about the state of our climate, both today and in the past. However, it is difficult to determine an accurate average value across all sea depths and regions of the world. The results of previous measurement methods heavily depend on location, season or sea depth, which can lead to distorted results. As part of the WAIS Divide Ice Core Project, an international research team led by Bernhard Bereiter from the Scripps Institution of Oceanography – now working at the OCCR and at Empa (Swiss Federal Laboratories for Materials Science and Technology) – has developed a method of measuring ocean temperatures over the last 24'000 years with high accuracy. These measurements have now been published in "Nature". "Our study clearly shows that the basic idea – the connection between the concentration of noble gases in the atmosphere and the average ocean temperature – is correct and that the method works," said Bereiter. The work is based on ice cores from the Antarctic. 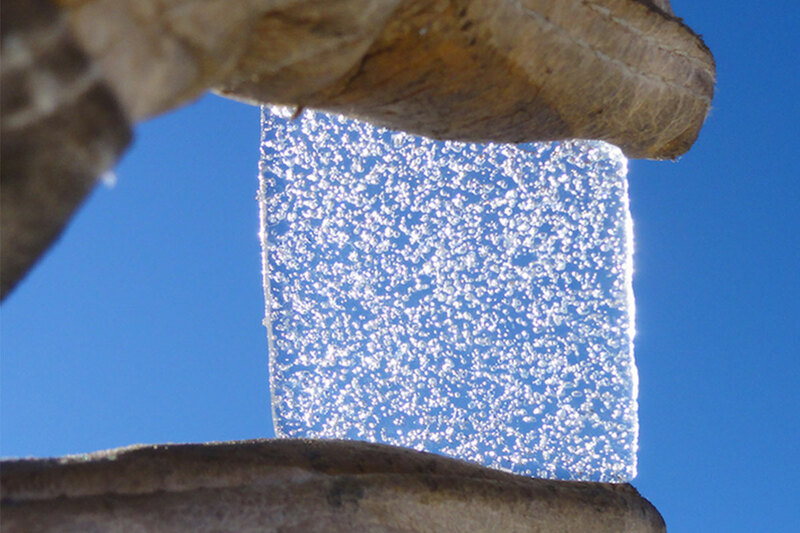 The layers of eternal ice form an archive of the atmosphere, in which not only dust particles and solids but also air and other gases are trapped. In these bubbles one can determine the concentration of different gases. For once, it is not the usual suspects such as the greenhouse gases methane and carbon dioxide that play a role, but the noble gases krypton, xenon and argon, as Bereiter points out. The principle can be explained as follows: cooling water absorbs noble gases from the atmosphere, while warming water releases noble gases into the atmosphere. The concentration of noble gases in the atmosphere thus allows conclusions to be drawn about the average global temperature of the sea – and not only the warmer ocean surface, but the mean temperature averaged over the entire mass of water to the very bottom of the sea. The drill cores from the Antarctic ice cover the period of the past 24'000 years. During this time, the transition from the last ice age to the current warm age took place. This is also reflected in the results from drilling cores: the researchers found a significant rise in mean ocean temperatures; overall, the ocean warmed up by 2.6 degrees Celsius over a period of 10'000 years. In the analysis of the data, Bereiter found that the increase in average global sea temperature is strongly correlated to the air temperature in Antarctica, which underscores the influence of the southern hemisphere on the global climate. Up to now, this type of temperature measurement can only be applied to very large changes such as the investigated transition from an ice age to a warm age. In theory, however, the method should also work to monitor current changes. These are (still) relatively small compared to the temperature changes investigated in the current study, which is why much more precise methods than are currently available are urgently needed, according to Bereiter. 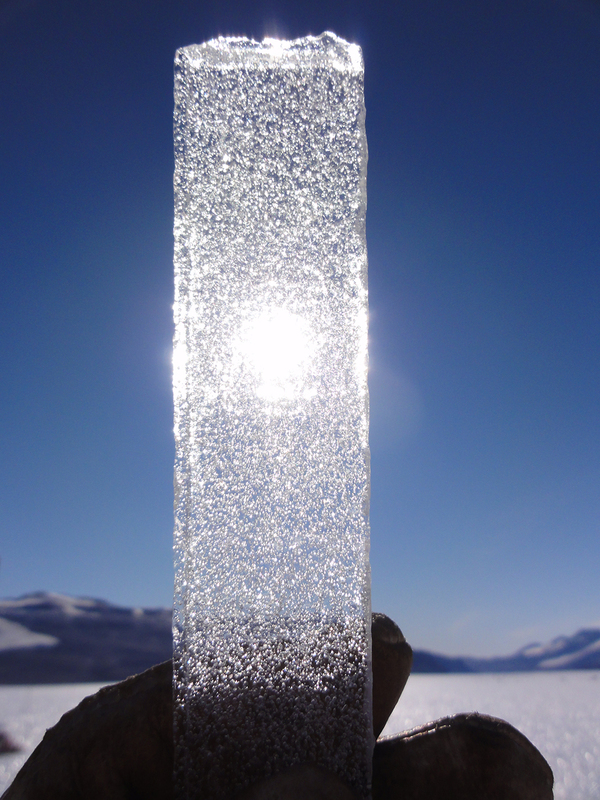 Ice cores are our only source of samples from the palaeo-atmosphere and are, therefore, extremely valuable for palaeo-climate research because they capture environmental parameters ranging, on local scales, from individual snowflakes to the entire Earth's atmosphere and, on time scales, from hours to hundreds of thousands of years. They record numerous aspects of the Earth's climate system in a single archive with very high temporal resolution. The aim of the WAIS (West Antarctic Ice Sheet) Divide Ice Core Project is to investigate the climate from the last ice age to the present day with a much greater time resolution and dating accuracy than previously possible. This applies in particular to the analysis of atmospheric gases, water isotopes and chemicals.